Employees of Travel Planners International are often given exclusive invitations to events hosted by leading travel and tourism businesses. On November, 19th, 2014, agents and employees from TPI were given the chance to attend a breakfast presentation hosted by the Miami based Tourist Office of Spain. This presentation included a delicious breakfast, fascinating information about Spain’s heritage and a rundown of the top tourism attractions and destinations in the country. The morning presentation and breakfast took place in the Grand Bohemian Hotel, a stunning accommodation choice located in Orlando, Florida. Invites were given to Travel Planners International employees as well as a range of independent travel agents from throughout the region. Upon arrival, attendees were given a gift bag complete with brochures, booklets and even a flash drive packed with details and tips for Spanish getaways. A delicious breakfast spread was served and the program officially began with an introduction from Lorena Villar, the Marketing and Trade Relations Manager for the Tourist Office of Spain in Miami, Florida. The first speaker at the presentation was none other than Mayor Angel Garcia Nieto from the city of Ávila, in Spain. Hailing from one of the most historic cities in Europe, Mayor Garcia had a wealth of information about the side of Spain that tourists want to see. The next speaker, the World Heritage Cities Network advisor named Marian Revuelta, followed up with details about some of the most historically significant cities in Spain. In particular, Revuelta focused on UNESCO World Heritage sites cities like the architecturally rich Cáceres, the Roman ruins in Tarragona, the Mediterranean store fortress of Ibiza, the religious landmarks in Santiago de Compostela and so many more. Next up on the agenda was a presentation given by Javier Amichis Luengo, who serves as the Market Manager for Asia Pacific & North America Tourism Promotion and Development at the Madrid Tourist Office. Javier gave attendees the highlights of what Spain has to offer: it is the third most visited country in the world, its capital Madrid has third largest metropolitan area in Europe and the country’s high-speed trains mean that visitors can go from Madrid to several UNESCO heritage cities in less than one hour. 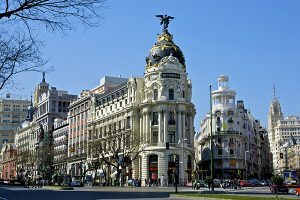 Finally, Javier discussed some of his favorite things about Madrid such as the incredible cuisine at Restaurant Casa Botín, the Art Walk museums El Prado, the Reina Sofía and the Thyssen-Bornemisza, the stunning art of Flamenco dancing and the world-class team of Real Madrid. The biggest perk for attendees of this morning presentation in Orlando was the gift of knowledge. 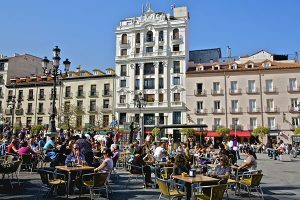 In just a few hours, travel agents were able to soak up a variety of travel suggestions for their future clients, and they were given helpful information about the most iconic destinations in Spain. Of course, additional perks included fantastic prizes! Two guests were given hotel packages for an upcoming trip to Spain, and one of the lucky winners was a TPI travel agent, Melissa Elliott, of Sights To Sea Travel. Independent travel agents should always be learning more about the world’s top destinations, and this information breakfast presentation was the ideal opportunity to do exactly that. 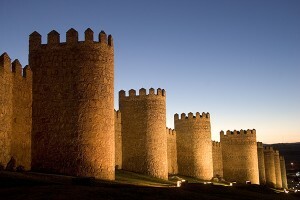 Become a certified Spain 360 expert. 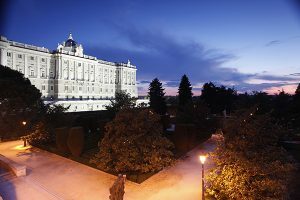 Visit www.spain360expert.com to join the FREE interactive course and learn more about the culture, regions and tourism highlights of Spain.